131 Margaret Mncadi Ave And 18 Hermitage St, Esplanade. 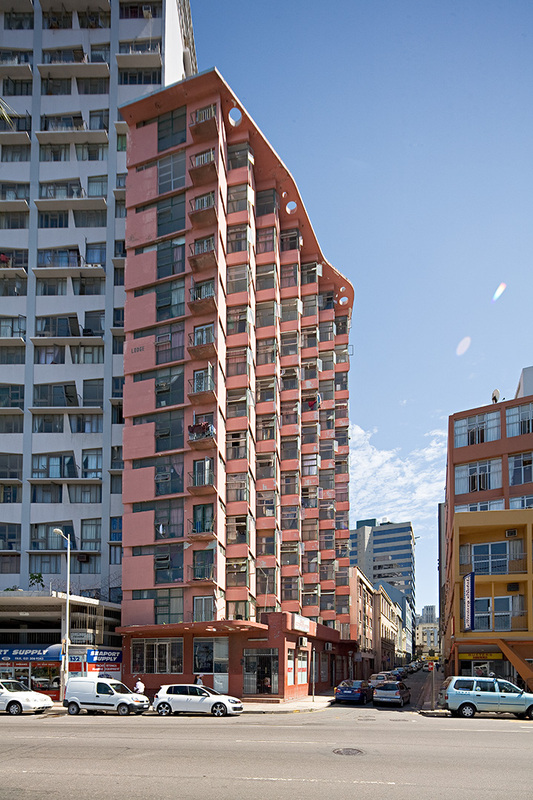 Westpoint forms part of an iconic group of Crofton and Benjamin buildings along Durban’s Esplanade, the other two being the Riviera Hotel and Haven Court. 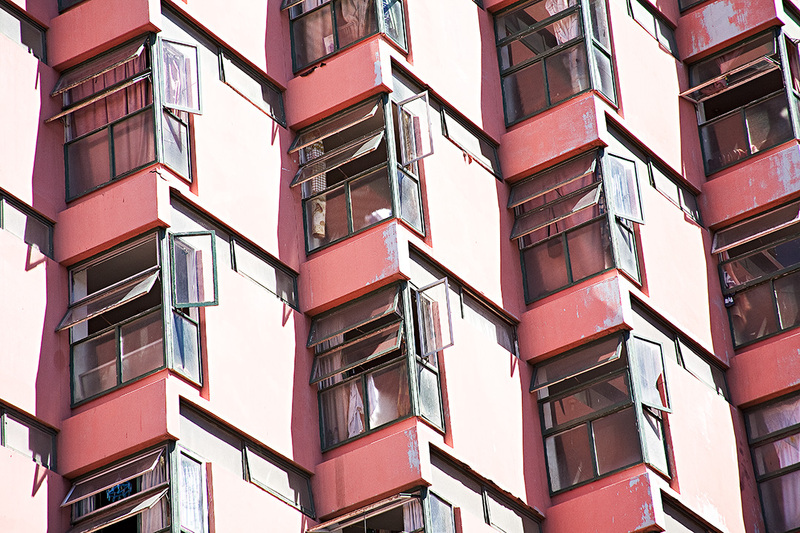 It consists of a thirteen-storey block of bed-sit units, seven on each floor, with the ground floor left over to the entrance, a residents' lounge and a caretaker's flat. The units are tiny, each having only a basin and shower, with communal ablution facilities off an access corridor to the back. The overall disposition of functions makes the most of the tight site configuration. Service areas, corridors, lifts and stairs are all shifted to the northern and western boundaries, which back onto other buildings. This leaves the eastern and southern edges open for accommodation. The L-shaped bed-sit rooms are nested so that, although the bulk of the building faces east, each unit is inflected to allow for views over the harbour as well as the Bluff in the distance. This stepped formation generates the building’s distinctive zigzag geometry. Inside, the individual components are also articulated from each other, reducing the building to its essentials. The opening sections of the windows are both side-hung and top-hung, adding another layer to this interlocking aesthetic.